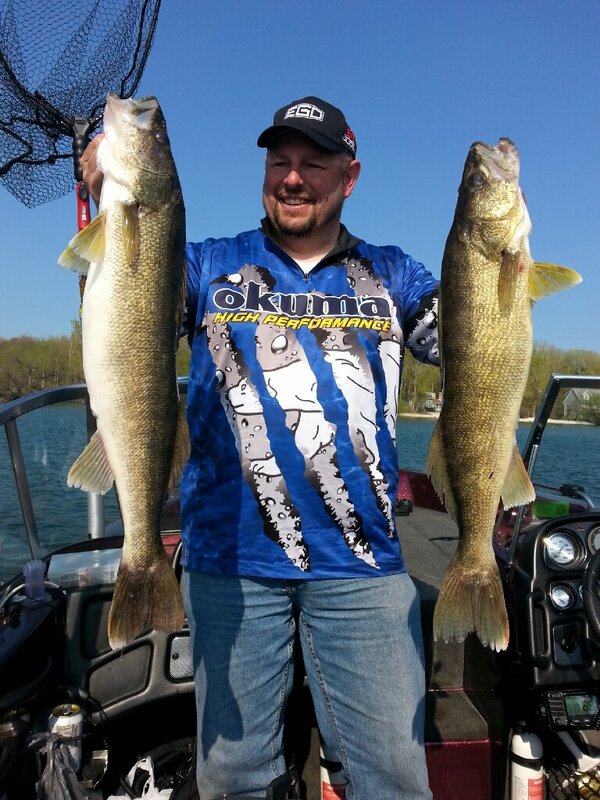 Spring is here and the Lake Michigan fishing action is heating up. The Coho have really started to turn on from the lakefront in Chicago as well as from the boaters out of the Indiana ports. It won’t be long and those 2-3lb fish will have gorged themselves to the point that they are putting on some serious weight. The fish on the south end will make their way northwards, feeding and feeding and it won’t be long until the sound of screaming drags and the yell of “fish on” comes from the back of my boat. The one thing that I tend to notice at the launch ramps as well as on all the charter boats as they depart the harbor are the baits they have rigged up. It always seems as though these boats are supporting the paint companies that manufacture the orange paint that goes onto the small 00 dodgers that are associated with spring Coho fishing. Their rods are all prepared with small orange metal flags spinning in the wind. We all know that the 00 orange dodger with a peanut fly is your “go-to” Coho bait. Just look at anybody’s gear box and you are certain to find some combination of small dodgers and small flies. It is time to think out of the box a bit and try a few other things that will put some good fish in the boat when those orange hunks of metal just don’t seem to be doing it. Now don’t get me wrong, I am not saying that these rigs won’t catch fish. Trust me, they do and they have a place in my spread when on the big water. However, there are some other options to think about when you are targeting these tasty silver fish that are often overlooked. One of my favorite rigs on the boat is a large silver 0 dodger with a green/silver Siggs-Rigs coho candy fly behind it. These flies are slightly more bulky than your standard peanut fly and with the large attractor in front of it the fly certainly gets more attention and action. This dodger/fly combo is typically dropped down on the braided dipsey and run back between 50 and 75’. The next on my list that is put on the other dipsy or slide diver would be another large dodger. A size 0 Clown colored dodger with a green/blue fly is rigged up and ready to go. The clown dodger is all yellow with orange spots on it. This too is dropped back to about 100’ on the line counter and this would finish up my outer dipsys. When using a small fly with such a large dodger the leader length is important. However, it isn’t what you may think. The leaders are kept to about 12’-14” or so to give the fly a very large range of motion. This would be your standard length on a 00 dodger, but it is kept consistent when going up to a larger size in the spread. Don’t be afraid to take a few of your larger King flies and cut the skirts down an inch or so and put those behind a rotating flasher. Something like the Pro-Troll in Nuclear green or a Fishcatcher in a green color. This would be a rig that would go out on the inner wire Dipsey. Large Spoons are often overlooked in a Coho spread. Too many times people lean toward the dodger/fly combos, but sometimes you need to put some different steel in the water. Standard or even Magnum spoons are my choice with a stinger style spoon often run as a free-slider on a rigger line. Magnum spoons in Hey Babe, Pink bloomers, Wonderbread or Kevorkian are typically sent down on the downriggers. These would typically be your king spoons, but the Coho don’t care. They are ferocious eaters and will certainly hit a large spoon. The larger hardware often times will get more attention as it puts out a more distinct vibration and action in the water. Planer boards are also a very effective tool in the spring and they can often out produce the dipsy or rigger lines. This is due to the fact that they offer some stealth to your presentation. On my boat you will often see an inline weight with larger body style bait behind it. Something like a Rapala J-11 or J-13 or maybe a Spro McRip 110. These are some larger body baits that give off more flash and a bigger profile. Spoons are another choice on the planer lines and some of my choices are the standard or even magnum spoons in Orange crush, Hot Lobster, or anything with some bright colors. If there seems to be a lot of black flies on a particular day this may get switched up to a darker color or even a more baitfish like color scheme. Now as mentioned before, this doesn’t mean that the standard 00 orange dodger and fly isn’t a choice in my presentations, it is just an example of a few ways to think outside the Coho traditional baits. Bigger body baits, bigger spoons, and even large dodgers or flashers can often put more and larger fish in the boat. Running these baits will also open up an opportunity to catch some good kings during this time of year. The fish are all feeding heavily on the bait balls that you will see on your graph and if you look at the bait that a fish may already have in his mouth you will see that you need to match the presentation to what they are feeding on. As with all fishermen you can never have enough tackle, but if you don’t have it with you, you can’t use it. This spring make sure you have a few larger baits in the mix and don’t hesitate to upsize your dodgers. You will be pleasantly surprised with the outcome. Looking forward to some screaming drags!